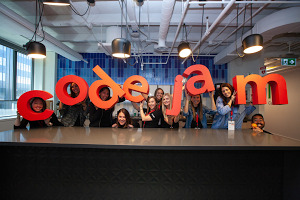 Editor’s note: Earlier this year, Made with Code teamed up with Snap Inc. to host #MyFutureMe, a competition for teens to code their own Snapchat geofilters and write their vision for the future. 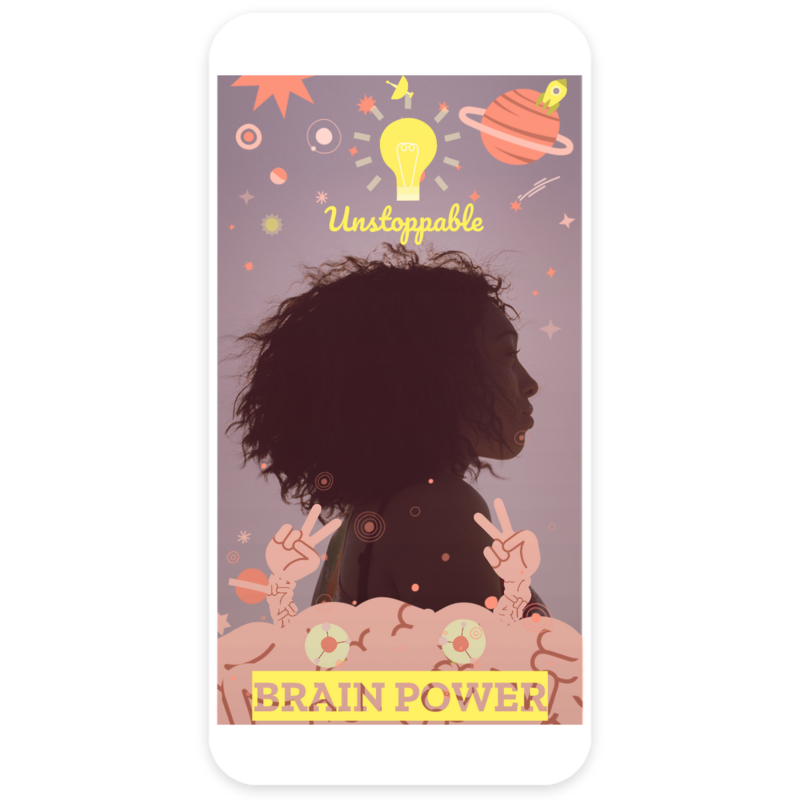 22,000 teens submitted designs and shared their visions, and Zoe Lynch—a ninth-grader from South Orange, NJ—was recently named the winner by a panel of judges, including Malala Yousafzai, Lilly Singh, Snap CEO Evan Spiegel and our own CFO Ruth Porat. We chatted with Zoe about her experience, how she made her filter, and why it’s important for more girls to get into coding. What was the inspiration behind your filter? The brain has fascinated me since I was younger—it’s where creativity and ideas come from so I wanted to use that. The coding project had peace signs, so I had the idea to manipulate the peace signs to look like a brain. The idea for my filter was what can happen when everyone puts their brain power together. When we do that, we are unstoppable. After you became a finalist, you attended TEDWomen. What was that like? It was crazy inspiring. It showed me how many powerful and cool women are out there opening paths for girls like me. I got to meet the other finalists, and we created a group chat on Snap, so that we can follow each other and stay connected. We’ve been each other’s biggest cheerleaders. All these girls are going to do awesome things. Tech mogul alert! How did you feel when you found out that you were selected as the final winner? I couldn’t believe it! Everyone was so talented and worked hard, but I was so happy that my ideas and creativity were recognized. To win a trip to visit Google and Snapchat was like a dream! 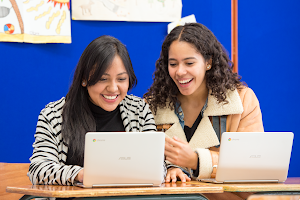 What advice do you have for other girls who want to learn how to code? I know a lot of girls who think they’re not good at this kind of stuff, but most of them haven’t even tried it. So you have to try it because otherwise you won’t know if you’ll like it. I loved #MyFutureMe because teens are really into Snapchat and the different filters you can use. When you have an opportunity to make a filter, you realize that coding is behind it all. You care a lot about inclusion—have you faced situations when inclusion has been a challenge? When I go to camps or explore things in the engineering field, I’m often the only girl and the only person of color. Usually all the guys go together and it’s kind of discouraging, but I want to try to change that for other girls, so we don’t have to feel this way anymore. I love to play video games—my favorite is “Uncharted”—but many of them are not really targeted to women. For women, the game is fun but you know deep down that it’s not really made for you. If I was going to make a video game, it would be an engineering game but you’re helping people. Say you want to build a bridge in the game, you’d need to use mathematics and engineering to make it work. My mom. Hands down. She’s a Hispanic woman and and there are only white males at her level at her company, which is where my passion for inclusion started. She’s also pushed me and has always supported me. You recently visited Snapchat and Google. What was the coolest part of the tour? Beside the amazing offices (free food! ), the coolest part was meeting the engineers. I was so inspired by their journeys and how different they all were. One was an actress, the other a gamer and the other wasn't even sure of her major until she took her first CS class in college. It showed me that there are many paths to getting into tech. 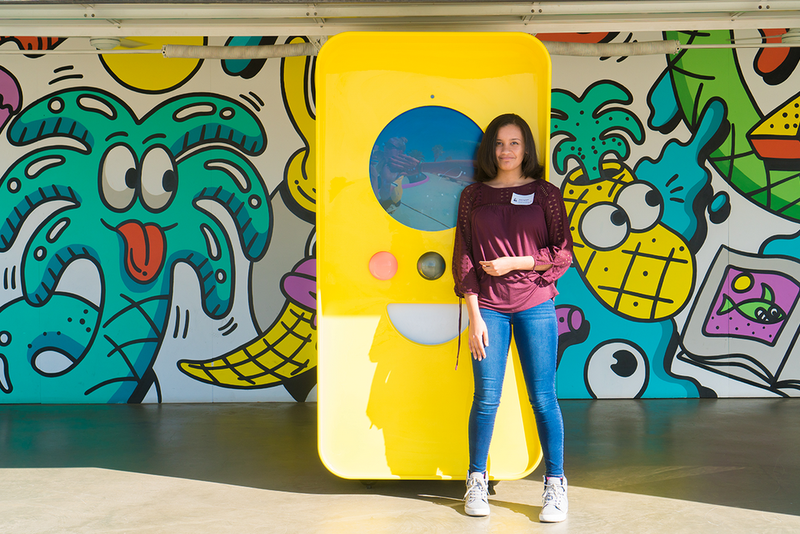 Zoe on her tour at Snapchat in Venice, CA. If you could have any job at Google, what would it be? I’d want to be an engineer in artificial intelligence—I think that technology and machine learning could change the world. I’d like to see more women and people of color in the field, too. 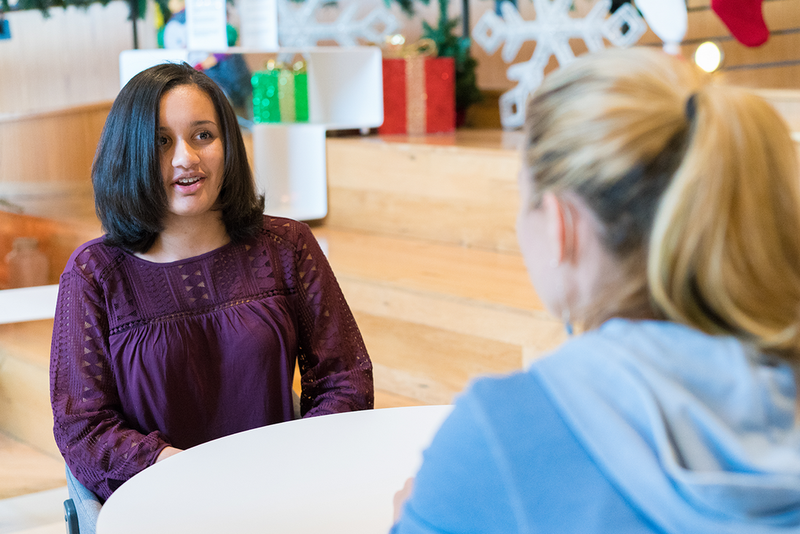 Zoe chats with an engineer at Google. What do you think the future will look like when you’re 30? I’m hoping that in the future, everyone works together. And it’ll be cool to live through new technology breakthroughs!